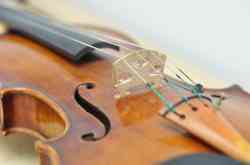 Hi, I teach violin lessons to students, ranging from beginners to advanced levels. I have been teaching the violin for 23 years. If you are interested, you may choose lessons in person or live online lessons via Skype.